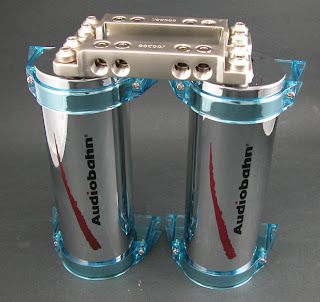 My plan now is to buy 2 X AUDIOBAHN 1 Farad Capacitor , and 1 X AUDIOBAHN active crossover in the near future. Once I got my stuff ready, I will then customize my car, possibly using fibre, carpet etc to rearrange my system, so that it will look nicer. So if you ask why do we need a capacitor, the reason is simple, so that it can store extra power from the battery and ensure every beat of the woofer/sound is equally powerful. If only you have noticed, when you are listening to a songs that have continuos strong bass, the first beat is always that powerful, however, once it reaches the 3rd or 4th beat, the bass become softer and muffled. Thus, having a capacitor will store the power in advance before every beat. If you look in the market, there are a lot of brands, which may state 2 farad, 3 farad or even more. However, most of the cheap capacitor do not even produce 20% of their stated power. Meaning that if they say 2 farad, the actual power they can store is about 0.2-0.4 farad only. 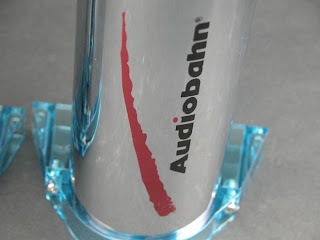 With AUDIOBAHN, this is not an issue. It can truly store close to 1 farad and thus produce sufficient power. In addition, this capaitor comes with full chrome body, just like its amplifier. In my next post, I will post the functions of active crossover, and if possible, take a snap of my amplifiers in the dark, which they illiminates blue. This capacitor is available at RM300(including shipping), or USD 95(Worldwide), anyone interested, feel free to contact me. This is a very rare capacitor and hardly available in Malaysia. I have few units left only.